*Prices below are our average patient prices and include the procedure cost of the surgeon, anesthesia, facility fee, and post-operative care. The surgery scheduling deposit of $500 is required to reserve your surgery date. It is fully refundable only if the surgery is canceled 2 weeks prior to the surgical date. Our fees for surgery are paid in person at our office on the date of your history & physical appointment. If this payment is not made at that time, your surgery will be canceled. Cash, check, all major credit cards, or care credit may be used. Our fees are subject to change and are only quoted for each individual patient and for a specific time range on the quote. There is a 5% discount for cash for all fees other than the initial consult. We will notify anesthesia and the surgery center of your upcoming surgery. The facility and anesthesia will contact you regarding payment of their fees. Neither anesthesia nor the facility fees may be paid by patients using care credit. However, they do accept all major credit cards and cash. The surgery center fee is paid at the facility and anesthesia fees are collected 2 weeks prior. Anesthesia fees are our best estimate based on time and may vary slightly due to additional time needed. 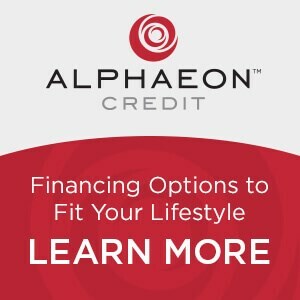 You can apply in our office for the card or online at alphaeaon's website. A great example is that you could pay $4000 using CareCredit and make monthly payments to CareCredit of ~$330/month for 12 months with no interest if it is paid back in those 12 months. This makes cosmetic surgery more affordable for many! You can see a full range of payment options available through CareCredit by entering financed amount below in the payment calculator. Pay on-line! You can directly pay our fees through this site on the left. Please confirm your total allowed amount to be financed with our office 717-695-6553 before paying. Scroll to the base of this page and press play to see a video describing CareCredit in more detail or visit their website by clicking here.